Room 000: Narratives Of The Bombay Plague is the story of the plague that killed thousands in Mumbai in the late 1890s. Very little was known about the disease at that time. INDIA IS no stranger to epidemics. 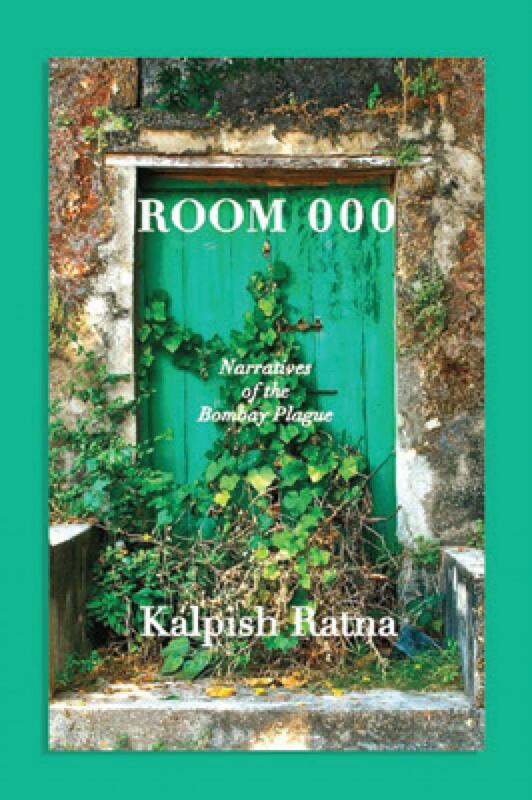 Room 000: Narratives Of The Bombay Plague is the story of the plague that killed thousands in Mumbai in the late 1890s. Very little was known about the disease at that time. It was said to be transmitted by a bacteria, but it was not known where it emanated from. The book follows the story of how researchers and doctors unraveled the science behind the Bombay plague. Room 000 at Mumbai’s Grant Medical College was the epicenter of epidemic research, where the first vaccine against the plague was discovered. But the book is not a dry description of scientific theories. It is a story about the people who were caught in the plague, the doctors who treated them, and the researchers who tried to decipher the life cycle of the disease. It is about how doctors and researchers turned detectives to analyse some crucial questions about the disease. And it is a story of how the government dealt with the situation. In 2007, as we stood watching Room 000 disappear, we felt the anguish of loss. We had been working there for the past five years on the story of Mumbai's epidemics. Grant Medical College was the arena of experimentation and discovery that opened a new era of therapeutics. The world converged here to compete in the race for vaccines and cures, to compare notes, and also to share responsibility. It was a moment unparalleled in the history of medicine. And here it was, being erased before our eyes. It was a harsh moment. We said nothing to each other, but when we turned away from that building, we carried with us the responsibility of giving a voice to Room 000. That triggered a journey to discover the Bombay of 1896. The book became an optical corrective. Through the lens of 1896, we began to see that the city's responses hadn't changed a whit; policymakers haven't changed either. When the next epidemic strikes Mumbai, will we repeat the mistakes of 1896? This was the time of the British Raj and the story captures the social undercurrents of those times. It is written in a racy style; the narrative is simple — even when the concepts, both scientific and linguistic, are tough. The book is an intricate web of connections between people and places. The bubonic plague provided the doctors and researchers an opportunity to study the disease in greater detail. While some answers emerged by the end of the epidemic, the most crucial questions remained unanswered. Where does the plague originate? When does it stop, and why does it reappear? Rats too died during the epidemic, but it is not clear how they acquired the pathogen. Though it was known that some areas were endemic to plague, Mumbai was not one of them. It is also not clear how the bacteria passed from rat to human beings, as the affected people were not bitten by rats. Later it was found that fleas that lived in the rat carried the bacterium. But if the rats, the carriers of the disease, died, why did the disease keep spreading? Researchers investigated a few theories behind the source of the disease. In one, they postulated that the disease came to Mumbai from Garhwal, where the disease is endemic, along with sadhus on their way to Kumbh Mela. In another, they said that it must have made its way from Hong Kong through sick rats stowed away in ships—Mumbai was the business centre even then. The railways that connected all parts of the country too could have been the carrier of the infected rats. Whatever the reason, the entire Mumbai city was contaminated. It was present even in the water, drains and sewage. The sanitation drive did little to contain its spread. The plague continued for some years and then ended suddenly. Dead RATS began to rain into houses. Women ran out screeching when fat bundles tumbled into simmering pots on the hearth. Men woke up at all hours uneasily aware of stirring that had nothing to do with desire. It was usually a dying rat burrowing frantically into the bedclothes. Toddlers chased after rodents that staggered drunkenly about. Children devised cruel and interesting games of torment. The street stank of putrefying rats. The disgusted villagers had tired of clearing them: within an hour of sweeping away the corpses, there would be a fresh richesse of rats, twitching in their death throes. A few days later, plague broke out in the village. There was an interval of two weeks between Bimabai's death and the outbreak. That interval had seen the deaths of rats. Outbreaks of plague have been erupting now and then. We might have some understanding today, but there are still huge gaps which need to be studied. Writing together under the nom de plume, KalpishRatna, doctors Kalpana Swaminathan and Ishrat Syed answer these questions towards the end. They blame it on environmental destruction. The authors suggest that rats living in forests around Mumbai were displaced, as migrants had started coming in huge numbers looking for jobs, and housing had to be created for them. They compare the scenario with plague outbreaks in Mamla village in Beed district of Maharashtra in 1994 and after the Latur earthquake in 1993. Plague occurs naturally in the environment. When the environment is disturbed, the carrier come in close contact with people and the disease jumps the species. This is now common knowledge. We have had epidemics such as Ebola, SARS, Kyasanur forest disease that have driven home this message. What we can learn from the book is how researchers and doctors dealt with the disease in those times. The book is significant as the number of unknown mystery diseases have been growing in India. Indian scientists have been unable to identify the cause for acute encephalitis syndrome, Siliguri fever and Saharanpur fever, to name a few. Many more are just termed as “mysterious diseases”. The answers to these questions may lie in the fields, and not only in the labs.